The story of J Paul Getty III's kidnapping was the subject of Ridley Scott's underrated All the Money in the World last year, and now Danny Boyle comes at the story with this sprawling, skilfully assembled 10-part series. This allows for rather a lot more detail relating to all of these people, plus much more on the figures around them. 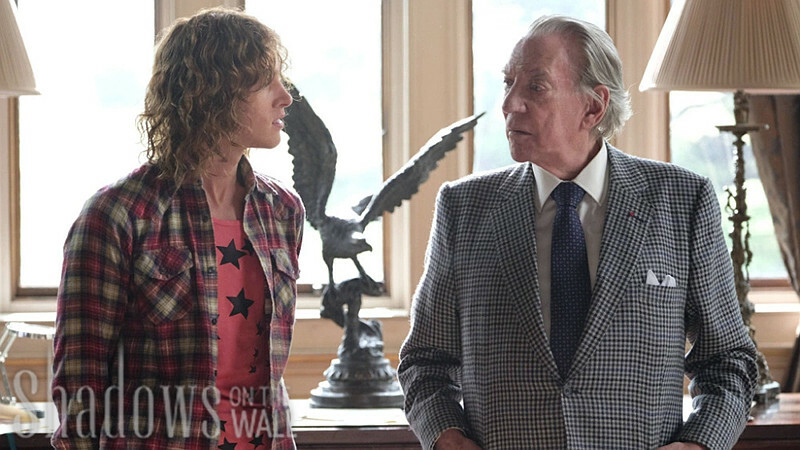 And what a cast: Donald Sutherland as the stingy grandfather, Hilary Swank as the determined mother, Harris Dickinson as the kidnapped teen, Brendan Fraser as the swaggering Texan fixer, and terrific support all around. 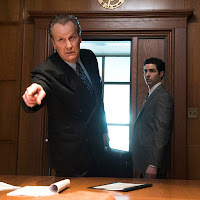 The scripting by Simon Beaufoy sometimes tries too hard to be inventive, while the raw facts of the story are so mind-boggling that they don't need the embellishment. 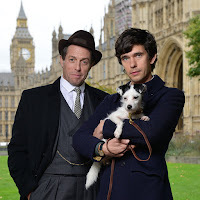 Anchored by ripping performances from Hugh Grant and Ben Whishaw, this three-part series tells the true story the frightfully posh politician Jeremy Thorpe (Grant), who in the early 1960s had a passionate affair with riding instructor Norman Scott (Whishaw). And when he thought the story might get out, Thorpe simply decided to have Scott bumped off. Stephen Frears directs this as a jaunty comedy with a very dark underbelly, and the actors play it with similar textures to make it thoroughly riveting. Perhaps a longer series would have made the narrative more coherent, since it leaps through the years in sometimes confusing ways. But this is dazzling television, and a great story with several complex twists in the tale. There's a slightly tabloid angle to this documentary series, although it does work dilligently to tell the story from each side, and the balance makes it very strong. It's tracing the events in 1980s rural Oregon, when the followers of Rajneesh bought a huge tract of land and began building their utopia. Local residents were relatively OK with this until strange things started happening, and the Rajneeshees reacted to criticism by taking over a local town government, casually poisoning restaurants throughout the region and arming themselves to the teeth. The story is grippingly recounted with firsthand interviews from a variety of people involved. Although while the facts are clear, what really happened remains a bit murky. There are echoes of Homeland in this limited series, except that all of this is true. It's based on exhaustive research into the work of the FBI and CIA in the years leading up to the 9/11 attacks. Mixing in actors with real footage of the major figures, this 10-part drama feels eerily authentic, and it certainly doesn't go easy on the ways the CIA withheld evidence from the FBI that could clearly have averted the awful events. 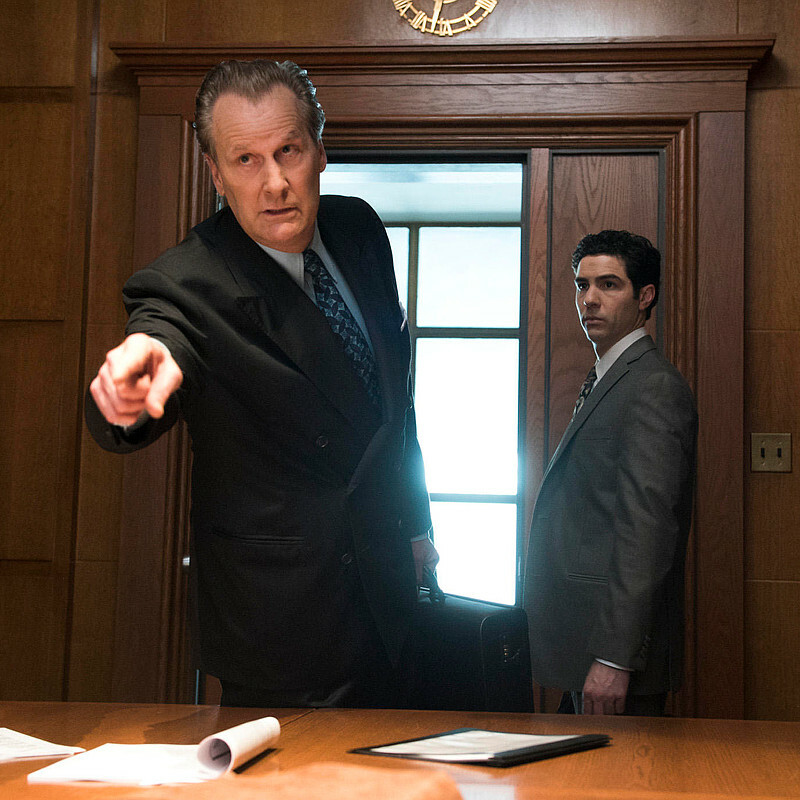 Jeff Daniels is excellent as FBI chief John O'Neill, whose story takes a grim ironic twist. The show's heart and mind is Tahar Rahim as agent Ali Soufan, who tenaciously tries to prevent what he can see coming. The show sometimes seems to get sidetracked by the characters' personal lives, but these details add to the realism. Michael C Hall comes to Britain for this twisty mystery series, which explores the deep, dark secrets in a gated community outside Manchester. Written by Harlan Coban, it's all rather arch and contrived, but there's a gripping edge to the story, and it's shot and acted with plenty of intrigue. Basically, the central mystery is far too entwined to hold water, falling apart with even a casual examination of the details. It's also fairly easy early on to work out whodunit, since the usual suspects are clearly guilty of other crimes. But the cast keeps things interesting, and the story is told with a blast of energy to keep us watching. Basically a serious version of Glee, this high school theatre club drama really needs to lighten up a bit. It's fraught with intense issues and deliberately meaningful plotlines that feel somewhat pushy, especially on themes surrounding identity. That said, these topics are addressed through characters who are engaging and beautifully played by the ensemble cast. It may feel like the usual Breakfast Club collection of teens, plus a frazzled teacher whose personal life takes up far too much screen time, but everything that happens resonates as an only slightly heightened version of things most viewers can identify with. Like a cross between This Is Us and Sense8, this strikingly well made show comes from the mind of Alan Ball (American Beauty, Six Feet Under), which means that it takes a realistic approach to what feels like an extraordinary set of characters. Each of the members of the Bayer-Boatwright family have an intense journey of their own. The cast may be anchored by the robust Holly Hunter and Tim Robbins, but it's newcomers Daniel Zovatto, Jerrika Hinton, Raymond Lee and Sosie Bacon who really shine as their eclectic kids. And even the side roles are fleshed out as real people with lives of their own. 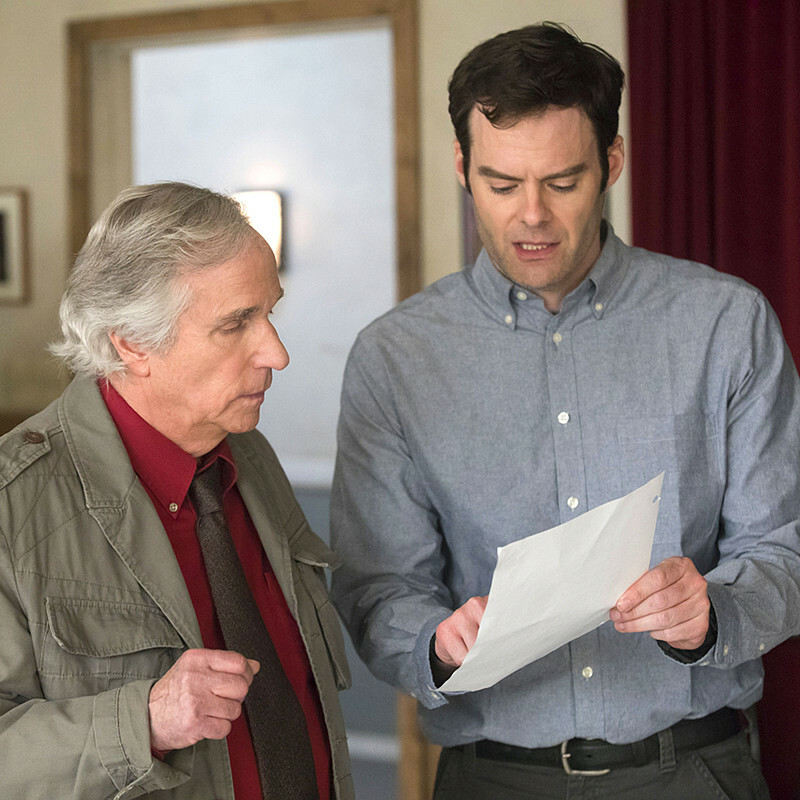 Actor Bill Hader was involved in creating, writing and directing this series, which gives him a terrific chance to flex his acting chops. It's essentially a black comedy, but it's the darker underlying drama that makes it watchable. On the surface, this story about a hitman moving to Los Angeles and being bitten by the acting bug is pretty corny, and also far too obsessed with grisly violence. But it's through the traumatised Barry's self-discovery that the show finds unusual ways to draw the audience in. It's also great to see Henry Winkler poking fun at the industry in a surprisingly edgy supporting role as Barry's acting coach. From New Zealand, this adventure series is packed with hilarious comical asides that more than make up for its cheesy Xena/Hercules production values and a nutty plot in which demons and gods battle for control of a primitive culture. At its centre is a witty four-person team, including the revived Monkey King, trying to keep the demons from unlocking the secret to ruling the world. Or something. It doesn't really matter when the dialog is so snappy, the characters so silly and the action such a riotous mess. Sit back and giggle right through all of it, then be surprised by a creeping current of emotion. There's a cheesy charm to this time-travel series that makes for enjoyable escapism. But it's important not to think about anything that happens, because the scripts are full of holes. For one thing, our heroes are always racing to get in their time machine to stop baddies they're convinced are determined to destroy the world. But this ignores the fact that having a time machine eliminates the urgency. Not to mention how quickly they're able to steal perfectly fitting clothing on arrival. And the villains' actions are also inexplicably pointless. Meanwhile, the show-runners indulge in rather a lot of pointlessly unnecessary cross-cutting in an attempt to ramp up simplistic subplots. Still, it's enjoyable if you don't think about it. One of the best-written series on TV, this funny, warm, fiendishly clever show is both a comedy and a drama, as well as a pastiche of florid Latina telenovelas. Terrific recurring guests this year include Rosario Dawson (as a shady/seductive lawyer) and Brooke Shields (as a deranged version of herself). The plot leaps along at a rapid-fire pace, with constant twists and turns, relationships and momentous events. 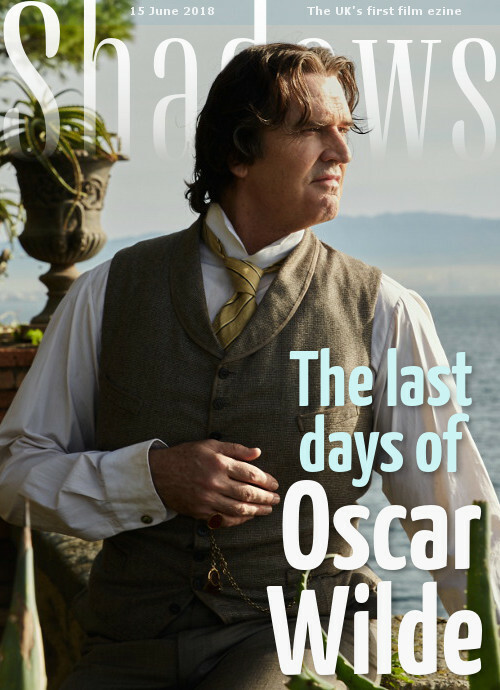 But the characters are solidly grounded and thoroughly charming, with a complexity that's rare for light entertainment. So not only is the show hilarious and sweet, but it also grapples with some serious issues (like Xo's cancer) in earthy, authentic ways. And it leaves the soapy excesses in the background where they belong. 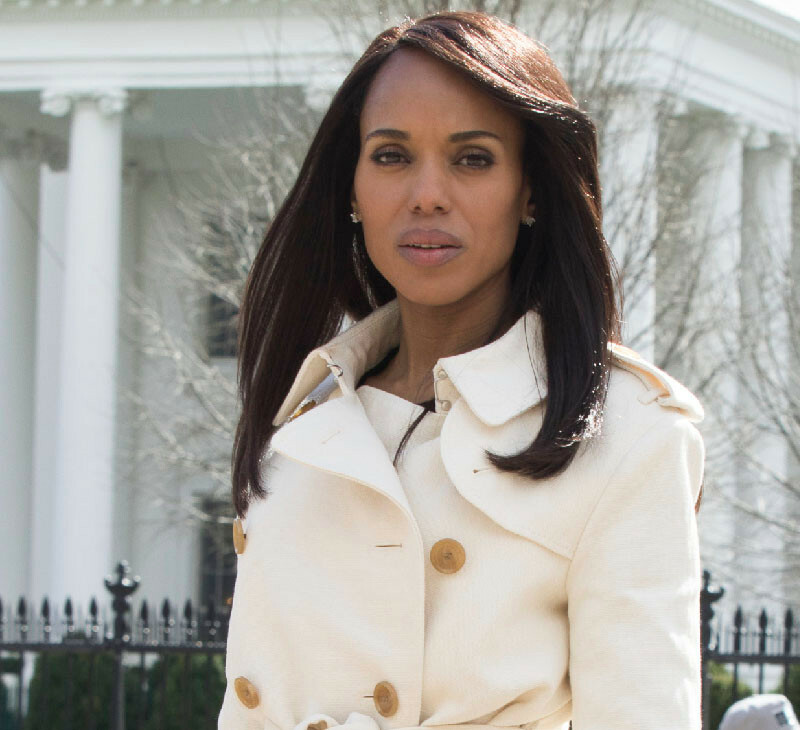 After a very rough start which struggled to convince us that Kerry Washington's Olivia had gone over to the dark side, this rather ludicrous show picked up a head of steam as it headed into its last episodes ever. As always, everyone on-screen lectures each other in over-enunciated, vein-bursting rants. But at least the writers had a bit of fun messing with the characters and who they can trust, leading to some meaty moments as things barrelled along to what was clearly going to be a "shocking" finale. Except that, as satisfying as it might have been, it was never surprising at all. After last year's more contained season, the shift to domestic activity is breathing new life into this series, especially as Claire Danes' Carrie goes off the grid to take on a renegade US President (Elizabeth Marvel) who's thankfully not too Trumpish, aside from bullheadedly charging into every situation. Relational textures are intriguing, as Mandy Patinkin's Saul finds himself in a somewhat contrived but compelling position as it becomes apparent that the Russians have launched an elaborate plan to destabilise the American government. Yes, the writers are drawing from headlines and, as usual, real life has overtaken them. But at this point in the show, Carrie and Saul are more interesting for how they react and interact than for what they do to save the world. This charming bit of fluff is mainly watchable thanks to the goofy-charming performances of Drew Barrymore and Timothy Olyphant as a suburban couple coping matter-of-factly with her murderous zombie condition. It's all very silly, dealing with violent death with a wink and a smile (because that's OK if the victims are Nazis). And the general panic is infectiously entertaining. This season's breakout star is Liv Hewson as their snarky daughter, who gets rather a lot more to do and shines, especially in scenes with best pal Eric (Skyler Gisondo). And it's nice to have Nathan Fillion back too. Well, his head at least. This show has been sharply well-written from the outset, but this season feels even more focussed than usual, bringing the characters to life in ways that are often surprisingly moving (as well as being hysterically funny). 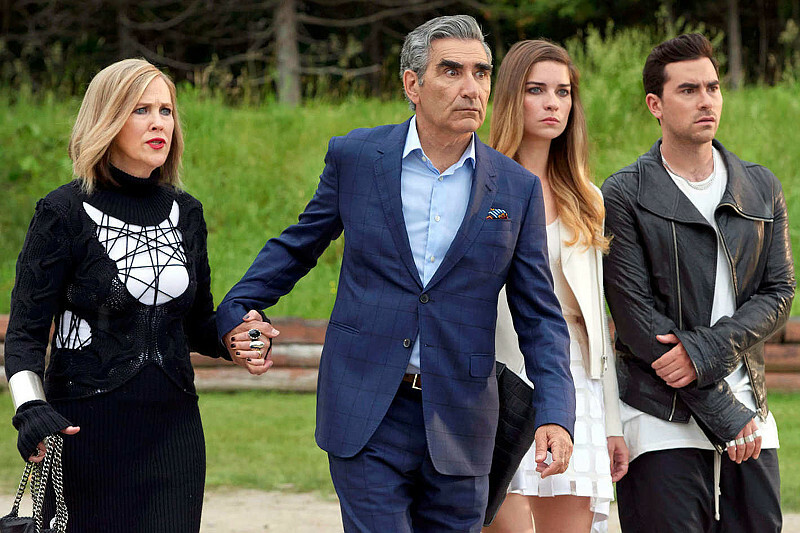 Eugene Levy, Catherine O'Hara, Dan Levy and Annie Murphy are all expert actors, milking each moment for maximum comedy, but never without a point. And the ensemble surrounding them is also wonderfully engaging, especially Noah Reid as David's dryly provocative boyfriend - a great character who changes the tone of the show in the right direction. As always, Chris Elliott's idiotic mayor is just an irritant in need of better subplots. Still, it's the best thing on TV this year so far. With only a half-season this year (the show wraps up with the second half early next year), what used to be one of the funniest sitcoms on the air has fallen into something so mannered that most of the gags feel like in-jokes that leave the audience out. The cast is still terrific, with the perky Ellie Kemper and shameless scene-stealer Tituss Burgess holding down the fort, plus a lot more of the wonderful Carol Kane and a lot less of the awesome Jane Krakowski. But the storylines are corny and dull, struggling to propel the show's premise in an interesting direction. And quirky running gags like that ubiquitous robot are rather pointless. This sitcom just gets stronger year by year, thanks to the fine performances by Allison Janney and Anna Faris, along with an ace supporting ensemble. Even as the issues get deeper and more serious, mainly relating to addiction, the scripts continually undercut the emotion with jagged jokes. But they never belittle the themes. 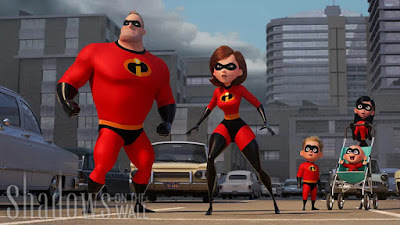 Back when this show first debuted, the main gag was that this wildly implausible tall mother and tiny daughter were both irresponsible parents and grandparents. 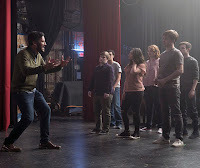 But the show-runners sensibly (and a bit jarringly) jettisoned the kids to focus on some important things about them, while Janney and Faris rose to the challenge, creating powerful chemistry while having a lot of fun at the same time. 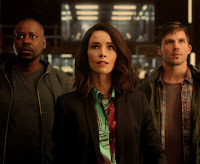 This show continues to wobble in the writing department, although this season the smartly comedic have outweighed the over-stretched, stale lows. Some of the funniest sequences have involved the kids, who are now complex young adults who are adept scene-stealers alongside the veterans. So when the writing is sharp, it sparkles. And there have been terrific moments for everyone this year. On the other hand, it all feels very safe, never pushing anyone too far one way or the other. And the overriding plot is running in place while mini-dramas last the length of a half-hour episode then flutter away. In other words, the show needs to start moving forward again. It seems odd to revive a series like this, which was dated in its original run even as it broke ground for its depiction of central characters who happened to be gay. It's hard to imagine younger audiences watching this new, since it's pretty much exactly the same show as it was when it went off the air in 2006 after its eighth season. Eric McCormack and Debra Messing's title characters are still fairly ridiculous, so self-absorbed that it's no surprise that they're single. 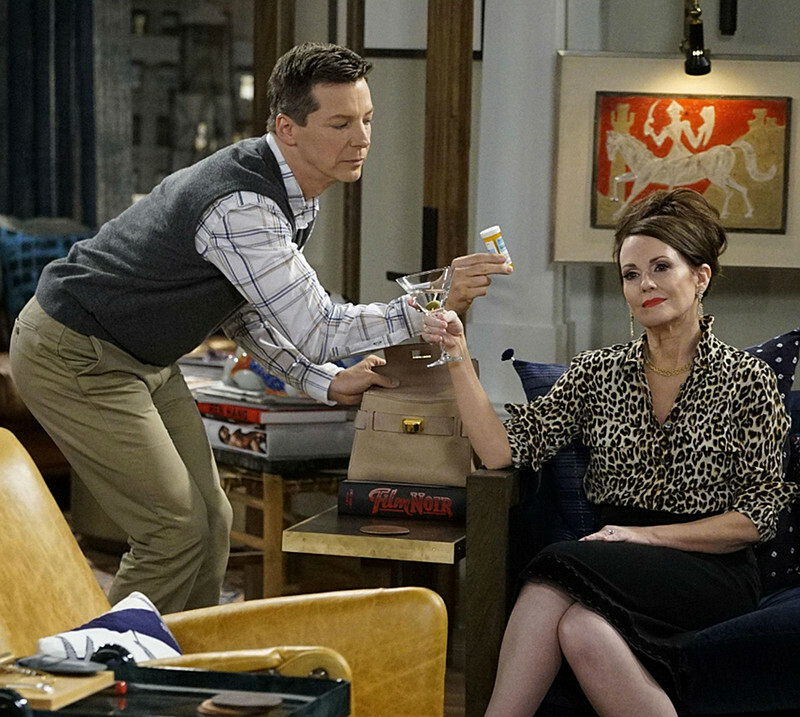 Sean Hayes' Jack is still so silly that he can't help but raise a smile. And Megan Mullally's absurd Karen is still the only thing that keeps me watching: everything she does and says is flat-out brilliant. After the hype about this resurrected series (which originally ran 1988-1997), the show is surprisingly nuanced. And also very funny. The writers cleverly keep things balanced, pitting Roseanne Barr's Trump-supporting title character against her left-wing sister Jackie (the awesome Laurie Metcalf, likely to win a fourth Emmy for this role). John Goodman again brings a witty, relaxing tone, and the kids (now with added grandchildren) are stirring the mix of blue-collar humour with sharply observed politics. You don't have to agree with everything each character says to enjoy this skilfully written and played sitcom. Sadly, Barr's inability to hold her tongue off-camera has sunk the show. Two series came back for their second seasons badly misjudging their successes. Both Westworld and Legion gave into the most indulgent instincts of their showrunners. The plotlines splintered as both shows became relentlessly gimmicky, tilting toward great-looking confusion rather than actual storytelling. The actors are fantastic, but the more pretentious a show gets, the less engaging it is. I gave up after a few episodes of each. Only a fanboy could love these shows now. 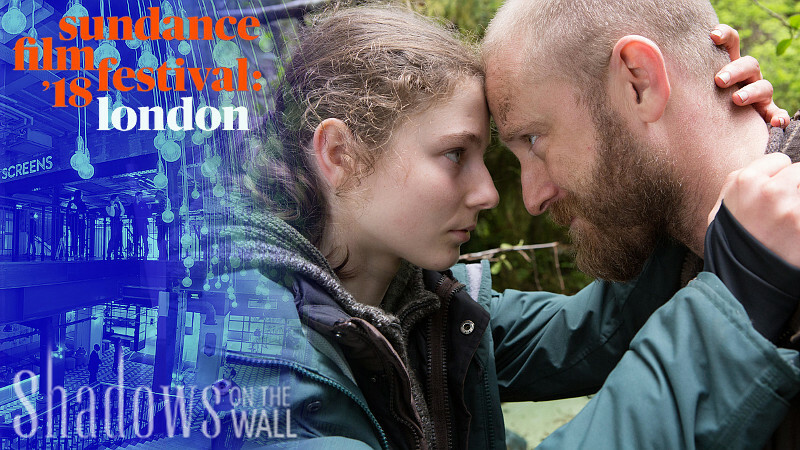 More festival films this week! The first four here are at the London Indian Film Festival (21-29 June). Venus is the closing film, and it comes from Canada. It's a comedy about a trans woman who discovers that she has a son from a teenage fling. It's beautifully written, witty and well played. 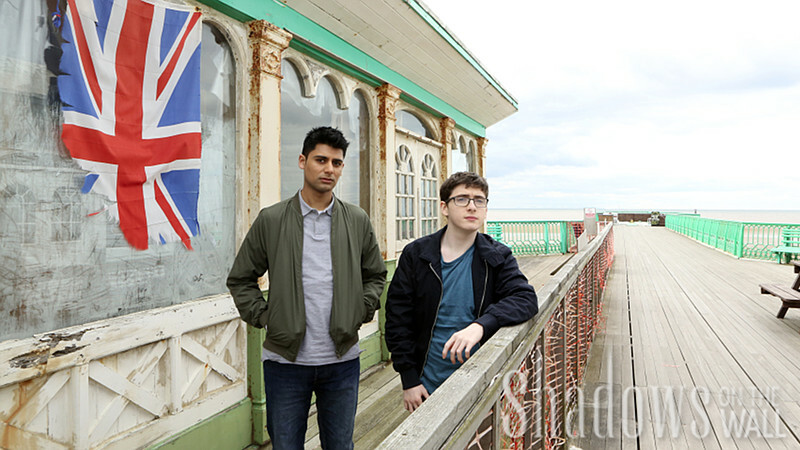 Eaten by Lions is a British comedy about two brothers (above) searching for long-lost family members in Blackpool. It's very sharply written, with a nice multicultural angle to it. From India, My Son Is Gay is a powerful Tamil drama about a young man whose mother simply can't accept his homosexuality. Gorgeously shot, the film is thoughtful and tough. And Bird of Dusk is a documentary about the acclaimed Bengali filmmaker Rituparno Ghosh, whose films had an unusually complex depictions of women. From the Dances With Films festival in Los Angeles (7-17 June), I caught up with At the End of the Day, a snappy drama about a Christian university professor who infiltrates an LGBT group to scupper their plans to build a community centre. But of course he gets an education instead. It's knowing, and nicely well-made. And from FilmOut San Diego (7-10 June), Golden Boy is a drama about a young man's odyssey of homelessness and drug-fuelled clubbing in Los Angeles. It's gritty and involving, and a little over-plotted. Other releases include The Endless, a fiendishly clever low-key sci-fi thriller in which two brothers return to the bizarre cult they escaped from as teens. And Beach House is a contained drama about four characters on the Long Island coastline, shifting slowly from a drama into a nasty thriller. I'm travelling in rural America over the next couple of weeks, so whether I get near a cinema is anyone's guess. It's a family trip to a part of the country I've never visited. Films out over there that I'd like to catch up with include Incredibles 2, Sicario 2: Soldado and Tag. 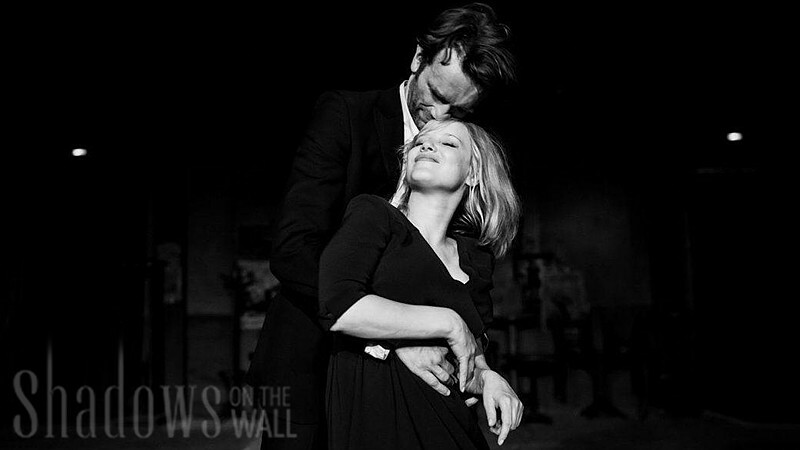 My favourite press screening this week was for Pawel Pawlikowski's Cannes-winner Cold War, a black and white Polish drama that's quite simply a masterpiece. A companion piece to his Oscar-winner Ida, it's a smart, complex love story spanning 50s and 60s Europe. On a much bigger scale, the spin-off sequel Ocean's Eight has a new cast of A-list actresses and another twisty but very easy caper plot to play out. It's mindless fun. Smaller films had some edge to them. Adrift is a harrowing true story of survival at sea starring Shailene Woodley and Sam Claflin. The Escape is an involving and very personal marriage drama starring Gemma Arterton and Dominic Cooper. And Alex Strangelove is a refreshingly original take on the gay teen comedy, avoiding cliches to find this generation's perspective on the topic. More offbeat films included Stanley: A Man of Variety, an experimental mental hospital freak-out in which Timothy Spall plays all the roles. Happiness Adjacent is a low-budget romantic-comedy set on a Los Angeles to Mexico cruise, but it makes some provocative observations. And Al Berto is a Portuguese period piece about idealistic artists who think their nation is freer than it is after the revolution. This coming week I have two American indie dramas: the edgy romance Golden Boy and the pointedly topical At the End of the Day. And there are also four films from the London Indian Film Festival: Bradford-set comedy Eaten by Lions, offbeat family comedy Venus, mother-son drama My Son Is Gay and filmmaker doc Bird of Dusk. 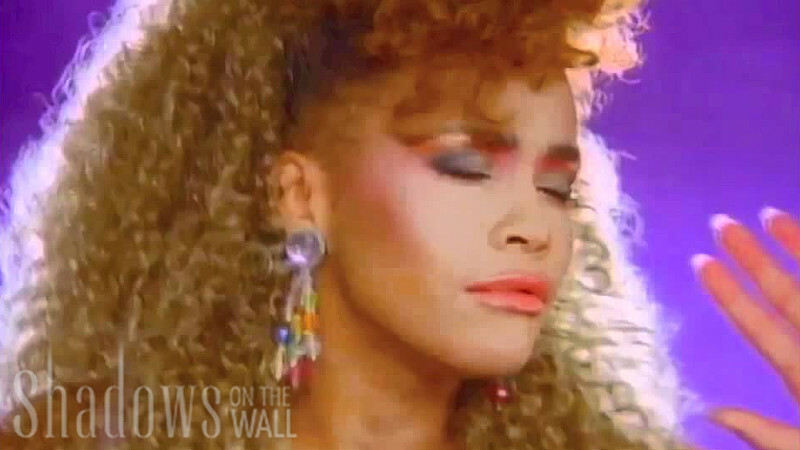 London critics caught up this week with Whitney, Kevin Macdonald's well-assembled documentary about Whitney Houston, which tells the same story as last year's Nick Bloomfield doc, but with a bit more focus on her family (including one dark new revelation). 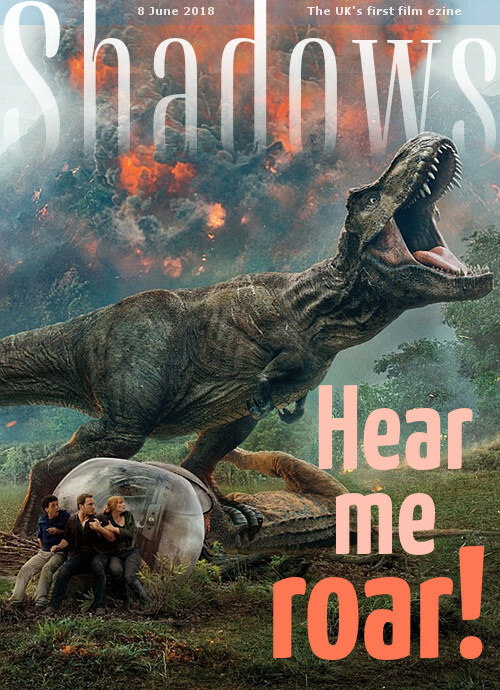 This week's blockbuster was Jurassic World: Fallen Kingdom, the fifth film in the franchise, which breaks the formula in that it takes place largely on the mainland, in a gothic mansion no less. Otherwise, it's still dinosaurs chasing people, and it's rather good fun thanks to an up-for-it cast and strong filmmaking. Further afield, we had the Paraguayan drama The Heiresses, a strikingly well-made film about a middle-aged woman discovering that there's more to her than her ancestral home and long-time companion. From France, The Apparition is a fascinating if somewhat rambling mystery that grapples with faith and traumatic stress. And the low-budget indie Sunset Contract is a sharply made, stage-like thriller about a man who begins to realise that he's made a deal with the devil herself. 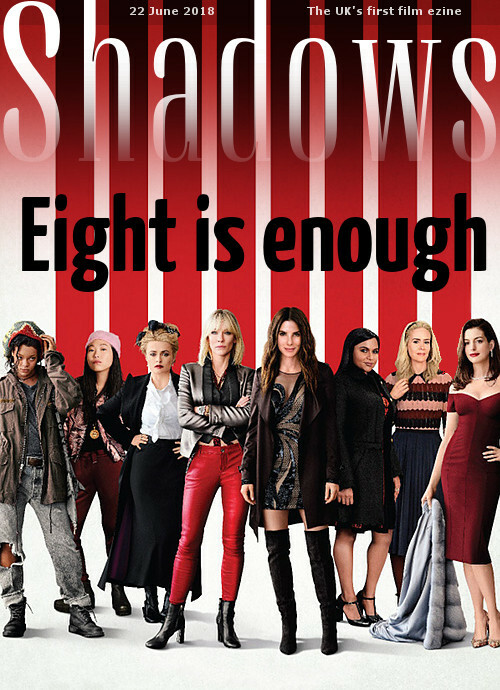 This coming week we have Sandra Bullock leading the charge in Ocean's 8, Shailene Woodley and Sam Claflin in Adrift, Gemma Arterton and Dominic Cooper in The Escape, Murray Bartlett in Beach House, Pawel Pawlikowski's Cannes winner Cold War and the Portuguese drama Al Berto. 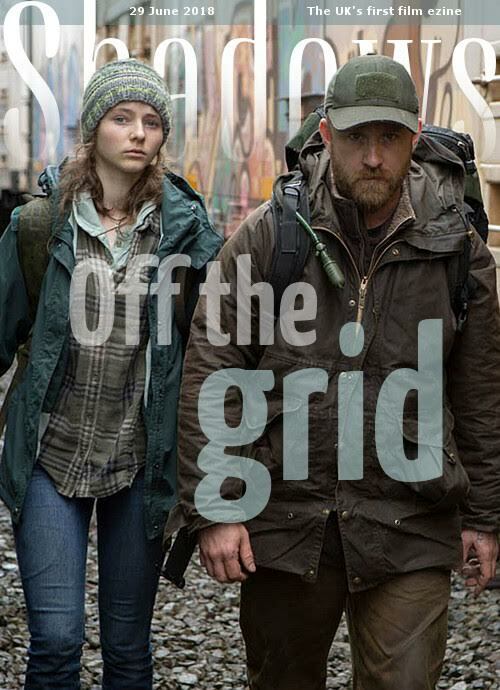 After the indelible Winter's Bone, filmmaker Debra Granik carries on exploring the connections of people with nature in this strikingly visceral drama set in the Pacific Northwest. As it expands to touch on a variety of timely themes, the film maintains its tight focus on the central father and daughter, played beautifully by Ben Foster and newcomer Thomasin Harcourt McKenzie. It's a provocative film that reaches deep to evoke a powerfully emotional response. Filmmaker Lauren Greenfield takes her fabulous doc The Queen of Versailles and spirals out to explore the much bigger picture, creating one of the most vital, urgent films in years. An expertly assembled film packed with striking imagery, it's also a riveting exploration of consumerism, taking a surprisingly personal approach that touches on unexplored aspects of a society that's addicted to monetising virtually everything. Filmmaker Crystal Moselle skilfully creates a loose vibe in this drama about skater girls in New York City. 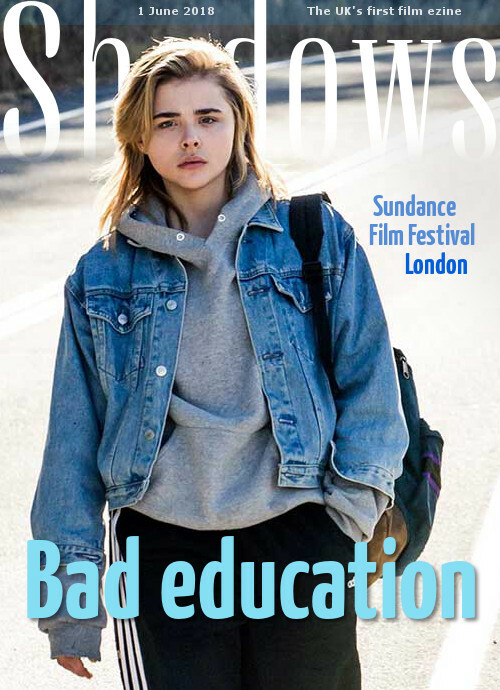 The narrative is deliberately thin, as the film instead focuses on on the camaraderie, connections and rivalries between young people who are discovering who they are in the context of the tribe in which they find themselves. It's fascinating, honest and thoroughly gripping, expertly shot and edited to bring out the natural performances. There are seven films from the 2018 Sundance Film Festival in this programme, which has been travelling around the world to cinemas and festivals. This includes the grand prize-winning Matria (Alvaro Gago, Spain), a stunning and rather gruelling depiction of a woman trying to hold her family together through sheer force of will. Two others won jury prizes: Hair Wolf (Mariama Diallo, US) is a witty horror pastiche set in a Brooklyn beauty salon that's being invaded by zombie-like white people looking for "braids!" And Fauve (Jeremy Comte, Canada) is an intensely raw little film that shifts from lively romp to painful drama in the blink of an eye. The other stand-out for me was The Burden (Niki Lindroth von Buhr, Sweden - pictured), an inventively surreal stop-motion animation about the struggles of everyday life. 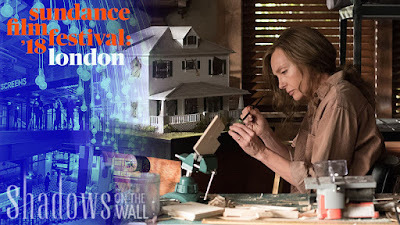 dir-scr Ari Aster; with Toni Collette, Alex Wolff 19/US ****. Writer-director Ari Aster makes his feature debut with a boldly original premise that builds involving character drama as it thoroughly freaks out the audience. The horror climax may be somewhat hysterical, but the journey there features first-rate acting from the entire cast, plus skilfully controlled filmmaking that creates a terrifying experience that's both darkly emotional and delightfully bonkers. There's an almost eerie honesty to this teen drama, which makes it feel bracingly current even though it's set 25 years ago. With naturalistic performances and a topic that has become uncomfortably timely all over again, the film worms its way under the skin. Based on a novel by Emily Danforth, director-cowriter Desiree Akhavan gives the film an autobiographical tone, which adds a proper kick of resonance.